The chance to have Gaynor compose a unique musical score and floorplan for your horse and attend an evening gala demo by International Dressage Judge Stephen Clarke and Gaynor. Catering to all levels from Prelim upwards. Arrive between the hours of 2-4pm. Arena familiarisation available for your horse if booked with K Amos. Free entry to the Dressage to Music Gala Evening Demonstration with International Dressage Judge Stephen Clarke and Gaynor Colbourn. 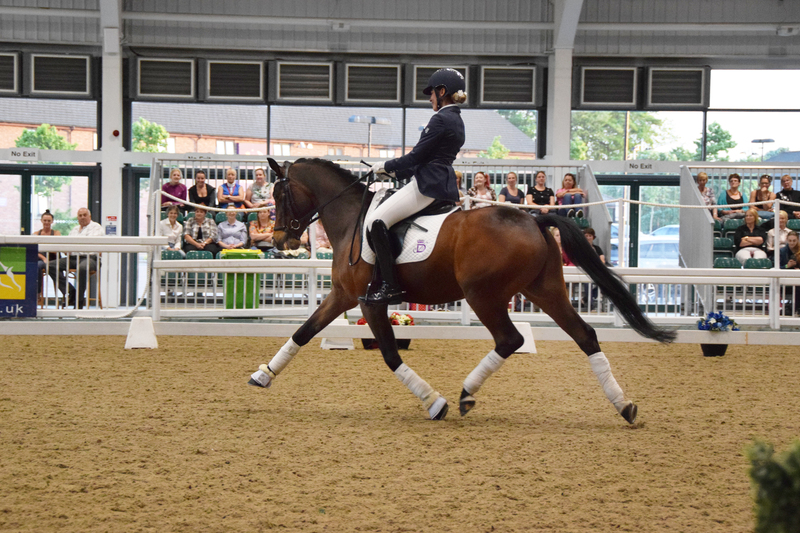 Join your fellow campers and a ticketed audience to listen to Gaynor play along to the demo riders live and hear her explain the dressage to music process with Stephen giving an insight into his vast experience, training methods and how to ride movements across the levels correctly. Watch riders from Novice to Grand Prix level perform on their horses including a range of types eg. warmblood, cob and Iberian. A private 45 minute session with Gaynor Colbourn in the main arena. You will ride through the movements required for your test level and working with the strengths of your partnership with your horse an individual floorplan will be put together ready for your music session the next day. The warm up arena will be available for you to warm up before and cool down after your session so you don’t waste any precious lesson time. You will be able to watch other sessions during the day gaining a great insight into the process behind constructing dressage to music tests at a variety of levels. If you wish to ride again during the day (maybe do some test practise?) this is available. Evening trip to a nearby pub/restaurant – not compulsory. A private 45 minute session with Gaynor Colbourn in the main arena. Gaynor will play live along to your horse’s paces composing a unique musical score for you. As Gaynor plays live the music will be perfectly matched to suit your horse’s paces and Gaynor can adapt the style of music to your taste. Two private sessions with Dressage to Music Composer Gaynor Colbourn. Ticket to Gala Evening Demo with Stephen Clarke and Gaynor Colbourn. Stabling for your horse for two/three nights on site – including two bales of shavings. Warm up arena for use before and after sessions. Parking and hook up for your horsebox or car and trailer – camping in these is allowed. Unmounted workshops, classes and talks – subjects to be confirmed. Bedrooms available onsite – ask for more details. Aintree International Equestrian Centre was completed in 2007, the centre was designed specifically to provide a venue for Equestrianism, and is now a showpiece in itself.